"To manipulate the written word is to transform the very essence of culture." For Xu Bing there is no true boundary between language and art, between the written word and the drawn image, nor between the past and present that does not beg to be explored. This might not seem unusual, as the relationship between calligraphy and ink painting goes back well over a millennium in the Chinese tradition. However, it is not simply an investigation of the calligraphic stroke that intrigues the internationally recognized artist, but how each tradition provides a means to transmit ideas and knowledge that the artist actively investigates. When he exhibited Book from the Sky in 1988, the audience was both in awe of his dedication to the 4,000 laboriously carved, seemingly traditional characters of text on hanging scrolls and in books, and astonished to realize that characters were entirely fictional. Since then, Xu Bing has continued to exploit the viewers expectations, by merging Roman letters and Chinese Script, using characters as a means to draw the landscape, and tracing the evolution from the pictographic origins of the Chinese written language to its breaking point, in the form of Chairman Mao's Simplified Chinese characters. In doing so, the artist forces the viewer to confront how meaning is generated and consumed through language, to consider not only the message, but the vehicle through which it is disseminated. Xu Bing is among a generation of artists, including Ai Weiwei and Gu Wenda, who experienced the Cultural Revolution first hand during their youth and transmitted that experience through their art. Collectively, although quite diverse in their individual practice, each artist exemplifies the powerful impact of the socio-political upheaval which transformed nearly all aspects of Chinese culture. They also represent the widespread diaspora of contemporary artists from China in the late-20th century, who sought artistic freedom during a period of censure in their home country. Widely recognized for his manipulation of the written word, Xu's oeuvre exemplifies the artist's constant exploration of socio-political concerns in his art. 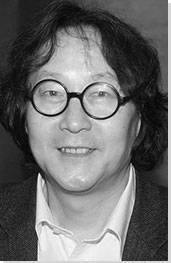 His earliest works explored the transmission of knowledge through language, calligraphy and traditional Chinese aesthetics, which evolved into a global critique of cross-cultural communication in the 1990s, and into his recent turn to the impact of modern technologies on the environment and human psyche. In the artist's words: "No matter what outer form my works take, they are all linked by a common thread, which is to construct some kind of obstacle to people's habitual ways of thinking - what I call the 'cognitive structures' of the mind." 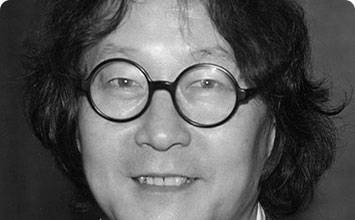 Throughout his life, Xu has been affiliated with the academic and avant-garde. After the end of the Cultural Revolution, he enrolled in the Central Academy of Fine Arts (CAFA), where he would serve as a professor, while also being active with the experimental artists collectively known as the 85 New Wave. Xu rose to fame as a prominent participant in the seminal exhibition China/Avant-Garde in 1989, an exhibition organized to introduce contemporary aesthetics to a broader audience in China, but shut down by the government within a few days of being open to the public. Xu Bing was born in Chongqing, in the newly-formed Communist People's Republic of China, in 1955. The third of five children, he spent his childhood years growing up in Beijing, where his parents moved to work at Peking University when he was two years old. He was raised in a highly intellectual environment, as his father was the head of the University's history department, and his mother worked as a researcher in their Department of Library Science. It was here that his love of books was born, sitting for hours in the library reading room, where his mother often sent him, looking through endless volumes. In his early childhood, his father taught him traditional calligraphy and the scholastic canon of China's long history. Xu also began painting at a very young age, which he says he never stopped because "stubbornness" kept him practicing. These early experiences formed his initial fascination with the written word, and the physicality and aesthetics of paper and books in general. Made up of 4,000 hand-carved and printed characters, Book from the Sky remains Xu Bing's most iconic work to date. At first glance, and to anyone who cannot read Chinese script, the pages appear simply as an elegant example of traditional Chinese calligraphy, evoking the richness and sophistication of China's long literary history. However, things are not as they first seem - Book from the Sky is, in fact, a collection of meaningless glyphs, imagined characters created by the artist to trick the viewer. First realized in the form of a 604-page, 4-volume book, Xu Bing replicated its content to become an immersive installation piece. For the Chinese audience in particular, Xu's Book from the Sky is profoundly disorientating. The wall panels, hanging scrolls and books which create the space conjure an atmosphere of almost religious sanctity and safety, with the whiteness of the paper evoking a purity of spirit, and their neat rows of black print permeate an aura of authority and knowledge. However, realizing the nonsensical nature of the characters redefines this feeling of calm into bewilderment. Through challenging common preconceptions, Book from the Sky forces the viewer to re-evaluate ideas about the authority of language. As part of cultural reform, the Maoist government simplified written Chinese, whilst also diverging from the subtlety and delicacy of its traditional use in their propaganda slogans, which were direct and aggressive. By creating a written world of nonsense in the guise of an age-old authority, he recreates his own sense of confusion when growing up through changes to language, by which he lived in two worlds, creating Maoist propaganda slogans at school, and being taught the traditional scholastic canon by his historian father at home. Kai Yin-Lo comments on this by observing that, "while well versed in tradition, and in the culture and mores of the Communist regime, Xu Bing also poses cerebral and representational challenges to their validity and values." Upon Xu Bin's departure, Book from the Sky was not shown again in China for nearly 20 years, despite multiple international installations of the work. In 2007, as Xu Bing returned to China from the United States, the work was included with "'85 New Wave: The Birth of Chinese Contemporary Art" exhibition at the Ullens Center for Contemporary Art in Beijing. As the work was reinstalled in the fall of 2018 for a major retrospective for Xu Bing, the monumental work was described as defining the post-Mao period in China, "it evokes the doubt - that old and cherished signifiers had lost their referents - that prevailed among intellectuals in post-reform China, many of whom pored over the work, obsessively looking for a single, real character." Bing continued to work with the written word after his move to the USA in 1990. After years of preparation, he created Square Word Calligraphy, which he often calls New English Calligraphy as he transforms English words nearly beyond recognition in the style of Chinese characters. Using traditional ink work techniques, the characters again appear to be Chinese at first glance. However, his meticulous positioning and stylistic play with the letters has rendered words into the square shapes which characterize the aesthetics of Chinese calligraphy, with the works speaking "to the problems [he] encountered in a foreign country"
Still affected by the linguistic upheavals of the Cultural Revolution, Bing here explores our perception of language further, whilst incorporating his experiences with learning English. What is consistent in his work through the 1980s and 1990s is a connection with China's deeply-rooted scholastic traditions, something which he was taught by his intellectually-minded father in private, despite the external transformations of the Chinese language which were being implemented by Chairman Mao. In his youth, Bing's experience of language was one of two worlds - at home, he practiced the fine art of literati calligraphy which was so respected by Imperial Chinese values, whilst in his capacity as student and worker, he created banners and posters in the government's simplified, direct style. However, instead of frustration with the dichotomies of language, Xu expresses a desire for harmony in his Square Word Calligraphy. Linguistically, he creates a new form of writing, which on a personal level helped him to understand English as a new lexicon, though on a larger scale could help others to dilute the perceived distances between the West and East. Culturally, he explores his identity as both Chinese and American, bridging the gap in some examples through writing out simple nursery rhymes in this format, and in others poignant slogans about freedom of expression. Concurrent with the exhibition of his Square Word Calligraphy, Xu has even taught classes in the USA on the design and creation of this invented visual language. Dan Cameron, former curator at the New Museum, explains: "the use of time-honored techniques to teach people a new way to write in English might be taken as an homage to a venerated tradition." Both following and questioning this "venerated tradition" is a constant theme throughout Xu's works up until the early 2000s, stemming from his scholastic upbringing, and his appreciation of the physicality of books and writing which he learnt through spending days on end in Peking University's library reading rooms, where his mother would send him while she worked. In 2004, Xu Bing embarked in a new direction, moving away from his language-based works with a series, titled Background Story, of mixed-media installations. The illusionistic works challenge the viewer's perception. When approached from the front, the work appears as if the artist has mounted a large-scale monochromatic, traditional Chinese landscape painting on a light box. Using what appears to be a variety of traditional brushstroke techniques, the artist composes a scene with alum lump rocks in the foreground, with a series of rounded hills rising and receding into the distance, complete with the requisite pine trees, with a small residence tucked away, ideally on the lakeside, in the center of the image. Approaching the five-foot-tall piece, small clues suggest that things are not as simple as they first seem; instead of the traditional ink work on paper, objects appear to visually fall behind the surface of the paper. The installation of the work allows the viewer to go behind the work and see behind the illusion. Instead of ink on paper, Xu Bing has placed plant fibers, hemp, paper and other debris against a frosted glass screen, backlit to transform these ordinary materials into something majestic. The viewer must confront and overcomes their initial assumptions over the course of experiencing this work, as the transition from the front to the rear of the piece takes us from what is known and recognizable to a wholly unexpected understanding of its essence. In keeping with his previous work with calligraphy, which challenged the audience's preconceived ideas about their surroundings whilst maintaining a reverence of tradition, Xu Bing's Background Story series employs traditional Chinese aesthetics to promote this same inquisitive mindset. A direct response to 17th-Century painter Wang Shimin, Background Story Seven turns the mundane and the discarded into the elegance and tranquility which was so respected in Chinese landscape painting during the country's imperial past, and it is China's history that Xu Bing repeatedly connects with in his work, no matter how diverse its materials or style. He also reflects on the generational differences which have gradually de-valued materials and objects over time, stating that his mother "hesitates to throw away even the smallest things," but that now our 'throwaway culture' means much of what could be useful goes to waste. This comment relates specifically to the differences between the West and Bing's home country, which he notes maintains a penchant for frugality and recycling. This critique of modern Western behaviors lies in contrast to his later critiques of industrial China. With multiple levels of meaning attached to Background Story, Xu Bing primarily prompts us to question our surroundings, as he did in his calligraphic work, so that we are continuously aware of what is real, and what is merely a mirage - he wants us to realize that our external world, contrary to our belief, is ever-changing and transformative. In 2008, Bing received a commission to create a sculptural installation for the World Financial Centre in Beijing, then in its initial stages of construction. The developers envisioned the collaboration with the internationally renowned artist as a crowning achievement to enhance the building's sleek, futuristic design. After visiting for initial research, however, Xu Bing was not inspired, but appalled by the disparity of the wealth of the buildings and the working conditions for the migrant laborers, many of whom lived on the site. Instead of turning away, the artist used the project as an opportunity for transformation. The site, polluted with trash and discarded construction materials, became a gold mine - much like Robert Rauschenberg, an influence of Xu, whose early assemblage works consisted of materials culled from trash duty during his years at The Black Mountain College. Xu Bing actively encouraged input from the laborers and he, or rather they, turned the discarded into the majestic, using metals and debris sourced at numerous sites across China into a pair of towering sculptures of the mythic phoenixes, one reaching 100-feet in length, and the other 90 feet, with a combined weight of 12 tons. Despite the use of decayed and rusting materials, the pair is graceful and dignified, soaring above the viewer as embodiments of both historical and contemporary Chinese ideals. Unfortunately, the developers were not pleased with the artist's choice of materials, and underlying social critique, and refused to accept the finished work. As such, the Phoenix pair have since traveled the world, from the Shanghai World Expo in 2010 to Massachusetts MOCA to St. John's Cathedral in New York in 2014, before heading out to hover over the timeworn canals of Italy for the 2015 Venice Biennale. Lying in contrast to the humble origins of its components, the Phoenix pair is traditionally a symbol of union between male and female, the yin and yang. However, these sculptures ask the viewer to look beyond traditional Chinese iconography to find additional layers of meaning, such as the opposition of civilization and the natural world. Thus, Xu employs the symbols to comment on China's social and environmental issues, stating that "the materials which make up the Phoenix closely reflect the problems facing China," including the rapid industrialization of the rural geography, an increasingly throwaway culture, and a lack of value for manual laborers. Xu does, however, maintain an appreciation for the country's long cultural traditions through using powerful mythological figures, still revered to this day. The Phoenix Project marks a transition in Bing's artistic career. Where previously influenced by the upheavals experienced during the Cultural Revolution, his work now focused on contemporary social concerns. This change was perhaps prompted the drastic change he experienced upon his return to China after almost 20 years away - the Phoenix Project therefore not only asks the viewer to question the work's contextual background, but also acts as a meditation for the artist on his identity with the country and culture in which he spent his formative years. Since 2008, Bing has experimented with increasingly less traditional methods and materials of communication. In 2012, he published Book from the Ground, an oppositional treatise from Book from the Sky (1987), instead of a book that nobody could read, Xu Bing created a book for everyone. Using simple pictograms, currently in popular and public usage across the world, his book is, theoretically, universally understandable. "Book from the Ground transcends culture, and it is modern and international," explains Bing on his intention to create a work capable of crossing of traditional cultural boundaries. The small, 112-page book is simply designed, with rows of arrows and symbols leading the reader through a day in the life of "Mr. Black," a generic character who fits neither generational nor cultural categories. Book from the Ground represents an innovative and contemporary means of communication and maintains a consistency with the artist's exploration of language. With its universal aspirations, it suggests an optimistic embrace digital and mass communication as a means to achieve linguistic harmony. However, Book from the Ground is not solely a linguistic puzzle, but also reflects the time-consuming anxieties of modern life in its narrative. Instead of accomplishing any worthwhile objectives, Mr. Black, much like the simplistic icon by which he is represented, represents the shallow nature of rampant consumerism as he frets about brand-name clothing and where to eat while browsing social media, instead of pursuing meaningful activities. As with his other works, this piece presents a duality of issues, as Xu ponders the negative, almost brainwashing effects of social media, big businesses and global brands which permeate every facet of urban life. This, states Charlie Bennett of Aesthetica, points to a certain frustration with contemporary consumer culture, and recognition that "companies are creating a global, visual language but they also do very little to offset the anxieties of modern life." Bing's latest work continues to comment on a rapidly changing society but moves far beyond traditional artistic media. A fictional thriller, Dragonfly Eyes is a feature-length film, but created using no crew, props or actors. Instead it is composed entirely of surveillance footage, framing the story of its female protagonist Qing Ting ('dragonfly' in Mandarin), who leaves her life as a nun behind to work in a milk factory, and is then followed across various other urban locations, at the same time chronicling a love story between herself and an ex-colleague. Creating a film from pre-existing surveillance footage, Xu Bing takes a critical look at the power of the state, focusing on surveillance and mass viewing instead of linguistic propaganda or barriers. The artist observes that, "in general, society is shaped by new technology. Needless to say, this has challenged...a lot of philosophical, legal, and moral concepts." In this newest phase of artistic experimentation, Xu Bing poses an unnerving question that plagues contemporary post-industrial societies: Who is watching us? How are our actions and behavior perceived? In 2018, The New York Times estimated that China has an estimated 200 million surveillance cameras, with many utilizing "facial recognition and artificial intelligence to identify and track 1.4 billion people." Xu's former colleague, Ai Weiwei earlier took on themes of state surveillance by creating faux cameras carved in marble for his series of anti-monuments. For Ai Weiwei, the work recalls the artist's own confrontation with the Chinese government as he discovered surveillance cameras and listening devices had been installed within his own studio in the months leading to his detainment. In Dragonfly Eyes, Xu moves beyond the symbol of the camera to the technology itself, to reveal the mass consumption of other people's lives through an all-seeing government operation built on a public interface. More interesting than the narrative he contrives from the curated footage, is the technique through which the story is told, and the revelation of just how intrusive public surveillance has become. "And of course," he explains in a 2017 interview for Musée magazine, "facial identification is very important in this film, it [is] involved with identity confusions, about what we can or cannot see, about how we can identify the essence. This inherent critique of surveillance evokes his youth in Maoist China, where public and private behaviors were scrutinized. Only now, he demonstrates how easily the actions of individuals can be manipulated to create a false narrative, just as language once was. It exemplifies the intrusive and omnipresent culture of surveillance that exists, across not only China but across the globe.